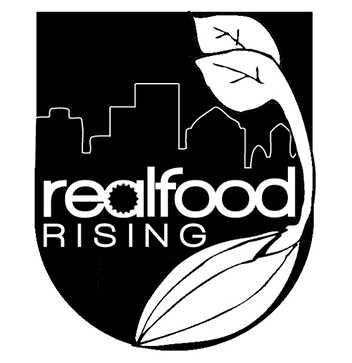 Real Food Rising was a nonprofit client of the student design firm I founded at the college where I chair the design department. 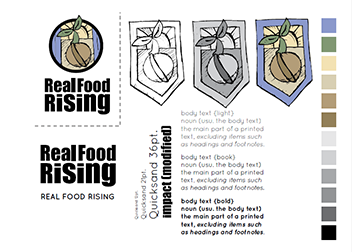 The founding principle was that everyone designs, regardless of level in the program, and that designs are submitted for group critique and refinement with the goal of exploring broadly and ultimately serving the client with the best design. The process started by interviewing the founder Mike Evans, and whiteboarding vision, values, brand position, target audiences and communication channels. 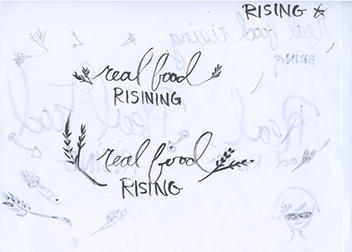 From this we developed a scope of work and began with sketches. 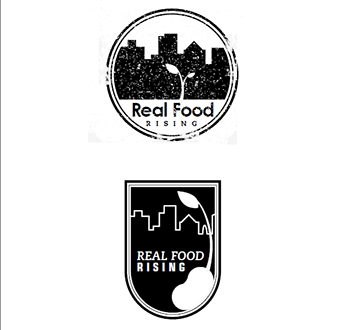 A key component of the brand was the bringing together of urban, suburban and rural communities in a shared effort to produce sustainable local food and to teach and develop leadership skills in youth. Some strong ideas had to go by the wayside. This concept brought together concepts such as “urban,” “farming,” and a gritty, wheatpaste poster style. This image and the one below bring it to a more woodblock art style which was powerful. The design team ultimately decided it may not communicate to all stakeholders, such as granting organizations and individual donors. Some directions were too much like graffiti or sports graphics. 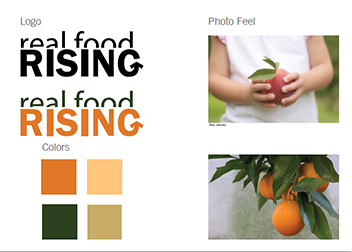 Each concept that made it through the first stage of the funnel was developed with a color scheme, typography and elements such as sample images suggesting a photographic style to provide visual consistency across publications toward producing a style guide. We also explored the concept of “badging” to designate the number of seasons a person participated. 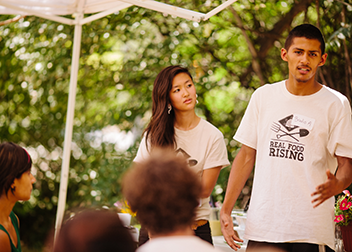 One goal articulated by the client was that in future growing seasons current youth would become team leaders for new groups of young leaders. The idea was determined to be cost prohibitive from a production standpoint. 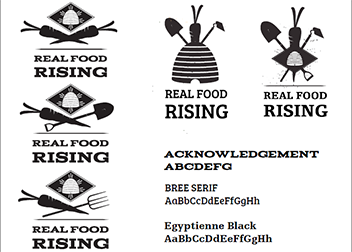 The ultimate direction the group decided on brought together Utah iconography such as the beehive with farming equipment and typography that had strength and also some refinement. 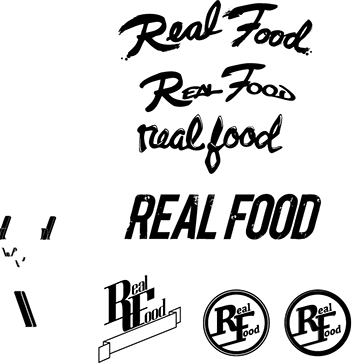 Three images were presented to the client and the final image was produced on t-shirts and mailers. The strong, clear unifying image also helped garner media coverage such as Edible Wasatch magazine. The final step was final cost analysis. How many “billable” hours were put in? How much would the final logo cost if this were a commercial client? For a small or upstart business, the time put into the design would have been well out of reach. We brainstormed ideas for cost reduction without reducing the quality of the end design. 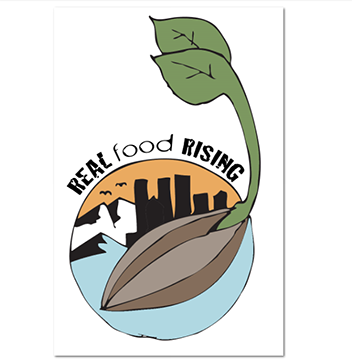 Ultimately this was an excellent learning process, and even better, resulted in a powerful graphic that assisted in promoting Real Food Rising.